Keystone is one of the only Colorado ski resorts that offers cat skiing. Warm, heated cats and endless acres of terrain, you’ll have an unforgettable adventure. Spend the day on the hill in Indy, Ericson and Bergman Bowls, where you will have endless acres of powder and terrain all to yourself! This is a perfect activity for groups as well. You’ll receive powder equipment and a delicious catered lunch in our cozy, heated Yurt. Each run down the mountain is followed by your very own, heated cat that picks you up and takes you back to the top of the 12,000 feet peaks. Enjoy breath-taking scenery and an unforgettable time with you friends, family or group. Copper Mountain – Copper’s Tucker Mountain Snowcat Access is as close to a backcountry, big-mountain experience as you’ll find in-bounds at any resort. During the winter season, snowcats run from 10 am – 1:30 pm on Fridays, Saturdays and Sundays, and Tucker Mountain closes at 2:00 pm. Tucker Mountain is open for hiking most days, weather dependent. Cat operations, terrain openings and conditions may vary and are subject to change. Oh yea…first come, first served. Ski patrol will fly green flags at all duty stations when the Tucker snow cat is in operation. The duty stations are Tucker Patrol, on top of Tucker Mountain, Motel 6, top of mountain chief, Timberline Patrol, top of American Flyer, and Patrol Headquarters. We will also fly Open flags at the cat pick up and on the snow cats. Combining service, facilities and guiding proficiency, Summit County tour operators lead visitors into a wilderness far removed from the hustle and bustle below. While there are trails for the riders who prefer to focus on the scenery instead of the snowmobiling, the adrenaline-pumping ride is waiting on an independent excursion or an organized Breckenridge snowmobile tour. Beginners in the snowmobile world will feel comfortable on these machines after a guide introduces them to these safe and easy-to-operate machines. The groomed trails present little trouble for snowmobilers who are just out to try the sport, but more difficult terrain is available as the comfort level increases. Summit County offers maps and information for the experienced riders seeking the endless system of local trails in the vast backcounty of the region. Those riders who venture into the backcounty unguided should be knowledgeable in backcountry and avalanche safety. Keystone snowmobiling is a great chance to get a feel for the sport. Take a tour for an hour or two, a half day, or even more to experience the mountain vistas within easy access from the town. More than just a stroll through the park, taking a chance on Breckenridge snowmobiling will be the highlight of a vacation. Head up the steeps, turn around and drop down into untracked powder on a machine that feeds adrenaline through the handlebars. If you have your own machine, or you take advantage of the Breckenridge snowmobile rentals, think about heading out into some of the backcountry forest trails. There is a large network waiting for independents to link together various trails on a custom trip, suited to their skill levels and needs. This is a great way to get out into the backcountry. Try making a loop out of the day by heading to Deer Creek via Radical Hill. Trailhead: Through Keystone, the trailhead is past Montezuma on Hwy. 6. Connecting to Webster Pass Road via Radical Hill, this is can be either a great run in itself, or half of a loop with Webster Pass Road. Trailhead: Heading through Keystone, Deer Creek Road is just 0.5 miles past Montezuma on Hwy. 6. Rental prices vary for the size of the machine, the duration of the rental, and the size of the group. Take a look at some of the shops below for specific information. If the trails are in the Vail Pass Winter Recreation Area, there is a fee of $6 per person. Children 13 and under are free. In addition to the ride itself, most individuals enjoy the knowledge brought by a tour operator. They will share their experience of the ecology, biology and geology of the area, adding an educational aspect to the tour. Tours range from 1, 2 or 3 hours, even a full day. Lunch and dinner tours are also offered, as well as private tours. Operators will gladly customize a trip to accommodate larger groups or special requests. Keystone – Just like when you were a kid, only on a much bigger hill with its own tubing lift – during the day or under the lights. With a unique state-of-the-art conveyor lift, the amount of rides is up to you. Get ready to laugh until it hurts in this must-do experience for all ages. Guest must check in 40 minutes prior to their reservation at the Mountain Services Center. During the Christmas holidays check in should be 1 hour prior, because of possible lift lines. If guests are already on the hill skiing they must check in at Adventure Point, atop Dercum Mountain 15 minutes prior to their reservation. Turn Right at River Run Village. Enter the main gate in River Run Village between Gorsuch and Slifer, Smith, and Frampton Real Estate Office. The Mountain Services Center is the second building on the right once you have crossed the bridge, just pass the ticket office. Please call for days and hours of Operation moving forward. Call the “call center” at 1.866.416.9874 to reserve your tubing slots . Large groups are allowed to tube at one time (snow conditions permitting). 4 lanes that feature banked curves, jumps, & a long run out! Double-Tubes are available for guests who want to ride together. Free and easy parking in the Alpine Parking Lot. Free shuttle also available from Alpine Lot. Our quick and efficient surface lift, “The Stinger”, that whisks you to the top for another run. *No blackout dates, tax and surcharge not included, offer subject to change without notice. During some of our holiday times these rates may vary: 12/18/2011-1/2/2012; 1/15-1/17/2012; 2/19-2/21/2012; 3/12-3/27/2012. ** Must have at least 10 tubers to qualify. The Tubing Hill Guest Services desk is located in Copper Station, in the East Village. Dress warmly in layers and wear comfortable winter boots. Please show up an hour early to get your full one hour tubing experience. Sorry, but all kids must ride solo, no lap rides allowed. Print, sign, and bring your Tubing Hill Waivers to Guest Services. Tubing is available for kids of all ages 36 inches tall and above. For the kids less than 36 inches tall, check out Critterland! 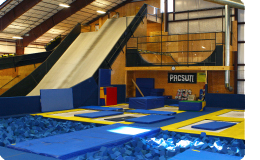 Fisco Adventure Center – The Frisco Adventure Park offers fun for everyone year round. Our premiere attraction for the winter season is our tubing hill and ski & ride slope/terrain park. The Adventure Park also includes the longtime favorite, Frisco Nordic Center. Including miles of Nordic and snowshoe trails on the Peninsula Recreation Area. You can round out your high country experience with a scenic or dinner sleigh ride from Two Below Zero Sleigh Rides. Or, take a break from your day of activity in the new 4,000 square foot Frisco Day Lodge serving all Adventure Park customers. Keystone is the only location in Summit County to offer lighted night skiing. The River Run Gondola will take you up to the Summit House, where you can access the Tubing Hill, the A51 Terrain Park, or take some runs in the largest night skiing area in Colorado. A51 Terrain Park has everything to keep you interested, from the rails at Gold Rush Alley, the variety of features at Park Lane, or the monster kickers at Main Street. Best of all, the A51 park lift is open at night, giving you and your friends access until evening. Tubing at Adventure Point is also open at night. Take the entire family to ride the snow tubes, then hop on the conveyor belt to head back up and do it all over again! Woodward at Copper is quite possibly the raddest place on the planet. 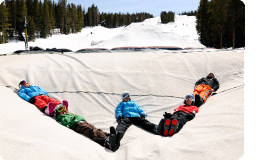 We offer year round Snowboard, Ski, Skateboard, and Cheer programs and feature the Barn, a 19,400 square foot indoor playground with artificial Snowflex jumps into foam pits, jib lines, skate bowls and mini ramps, foam pits, spring floor, tumble trak, spotting belts, and Olympic fly-bed trampolines. You choose what you want to learn and how much time you spend in any given part of The Barn training facility. Bring a couple of friends and have the most productive off snow training possible. You can jump on the tramps, flip around on the spring floor, learn new tricks off the snow-flex jump and slide rails all day long. It’s your choice! We offer a few different types of lessons in which you will be one on one with a Woodward at Copper coach. What you will work on during the lesson is completely up to you. 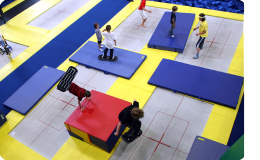 The One Hit Wonder is a mandatory 1 hour and 45 minute introductory session that helps participants become comfortable with the trampolines, foam pits, Snowflex surface and other features in The Barn. Once you take the One Hit Wonder you are set to participate in the Drop-in Sessions. 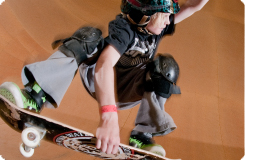 Our 1 hour and 45 minute sessions where skiers and riders can use the facility to work on individual skills, and focus their training on the trampolines, jump line, rail garden, quarter pipe, log jib, spring floor or any of the skate features. The whole Barn is yours! Woodward at Copper’s summer camp will include skiing/riding on-snow, on-mountain in the morning, Barn sessions in the afternoon and evening, & many additional activities including skate tours, go-carts, create-a-skate, music, rock climbing, hiking & more. Campers will live and eat at Copper’s EDGE building, which is located in the Copper Village. Session the Barn’s indoor skate bowl, mini ramp(s), and ever expanding street area! Keystone – Keystone has two areas for ice skating, the legendary Keystone lake and at Decurm square in River Run Village. Ice Skating & Hockey at Keystone Lake. The Keystone Lake is currently open for ice skating and hockey while temperatures permit. Please call 970-496-7103 for information. Hours Of Operation: open 9am-9pm. Please call 970-496-7103 for information. This large rink is ideally set in Dercum Square within the River Run Village and has an abundance of ammenties within walking distance. Rent your skates from the rental shop adjacent to the rink and soak up the music from the overhead sound system around the rink. The Steven C. West Arena offers year-round facilities, complete with summer camps for hockey and figure skating, as well as a full service proshop. When: Hours of operation are 8am – 12am, but the schedule for public free skate varies, so check with the arena at (970) 547-9974. Maggie Pond is a great option for the entire family. Simply rent some skates and take some turns around the lake, all the while enjoying the winter views of the surrounding mountains. Skate Rental: From Breckenridge Sports at Maggie Ponds. Inquire for prices. Copper Mountain – While boats may paddle it in the summer, West Lake turns into a skating pond in winter, offering fun for everyone in a convenient location. There’s no better place to be a Nordic skier — with average mountain snowfalls of 300+ inches and 300 days of sunshine, Colorado’s Rocky Mountain climate makes for nearly six months a year of skiable conditions across some of the most breathtaking terrain in the country. Our 17 Colorado Nordic ski resorts boast a combined total of 547K of expertly groomed cross country skiing trails (both skate skiing and classic) as well as top-notch ski lessons, ski rental, and retail sales. From friendly community-based centers to world-class Nordic ski operations and deluxe guest ranches. 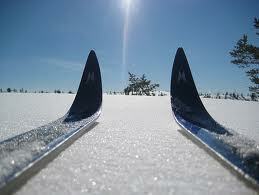 Cross-Country skiing has gained popularity as a wonderful way to see the country side. You can enjoy this graceful sport while getting a full body workout. Many hiking and biking trails become cross-country ski trails in the winter. There are several Nordic Centers in Summit County that provide a variety of fun, groomed trails. Below is a list of the trails, provided by the National Forest Service, available to you in Summit County. For those hardy snowshoers interested in totally getting away from it all, Summit County offers numerous back country trails of varying degrees of difficulty. An excellent source for finding good trails is Claire Walter’s book Snowshoeing Colorado. She gives detailed information about length, difficulty, scenic attractions, and avalanche danger. You can also check on the Tubbs Trailnet (www.tubbssnowshoes.com) or do a search of snowshoeing in Summit County, Colorado. Just remember to exercise extreme caution when venturing off the beaten path. One trail pass. Three Nordic centers. Unlimited snowshoeing fun. That’s what you can expect in Summit County, Colorado. All of this is conveniently located in a ten mile area about 80 miles west of Denver. The scenery is spectacular, the people are friendly, and the snowshoeing is first rate. If you’re looking for a place to experience good snowshoeing at a variety of venues, give Summit County a try. I don’t think you’ll leave disappointed. Frisco Nordic Center – Located about two miles south of Interstate 70, just off Highway 9, Frisco Nordic Center is situated on a beautiful peninsula that protrudes into Lake Dillon. A large and attractive log structure serves as a day lodge for the center. A friendly and knowledgeable staff will sell you a trail pass, rent you proper snowshoe or ski equipment, and provide you with a trail map. 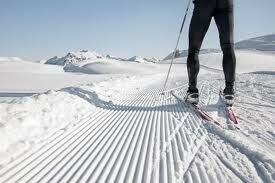 Cross-country ski lessons are also available there. The web site gives prices for the various types of lessons. The Frisco Center has 46 kilometers of ski trails, which are groomed for both classical and skating styles. In addition, there are 14 kilometers of dedicated snowshoeing trails. Snowshoers are not allowed on the ski trails, except to cross them . Snowshoers must observe proper etiquette and not trample tracks that are set for classical skiers. Most of the snowshoe trails are in forested areas. They vary in length and level of difficulty (steepness). One trail goes all the way to the end of the peninsula and it provides some rewarding views of Lake Dillon. The many forested single track trails are attractive to snowshoers looking to get away from it all. According to owner Therese Dayton, snowshoeing now accounts for about 35% of their customers and is increasing. After two visits, we can certainly see why. Breckenridge Nordic Center – If you continue south on Highway 9 for about ten miles, you will arrive in the historic town of Breckenridge. While best known as a major downhill ski area, Breckenridge also offers some top quality snowshoeing and cross-country skiing. This center has a higher elevation than the one in Frisco, so it typically has more snow and a longer season. There are 32 kilometers of cross-country ski trails and 16 kilometers of dedicated snowshoe trails at Breckenridge. The newly remodeled day lodge provides the necessary trail passes, rentals, and lessons. It‘s a cozy place for a snack, hot beverage, or just relaxing by the fire. Manager Claudia Wiley says that she has seen a significant spike in snowshoeing interest in recent years. According to Wiley, approximately a third of their customers are now snowshoers with up to half on weekends. Their policy of allowing a ski-for-snowshoe swap during the day has helped to introduce more people to snowshoeing. We found the trails at Breckenridge to be a good combination of wooded and open areas. Trails were well-marked and some provided good views of Breckenridge itself and the surrounding mountain ranges. An added feature at Breckenridge Nordic Center is the opportunity for guided snowshoeing tours conducted by Tom Dayton, brother of co-owner Gene Dayton. ‘S NO Wonder Tours offers half-day, full day, and moonlight tours. We took one of the half-day tours last season and had a wonderful experience. Tom provides a lot of interesting information about the forests and wildlife that inhabit them. He also provided a healthy and delicious snack midway through the tour. For a more complete review of ‘S NO Wonder Tours, go to the archives section of this site and click on March, 2005. You can’t miss the article. GOLD RUN NORDIC CENTER – The City of Breckenridge owns Gold Run Nordic Center. It is located at the golf course just north of town. There are 22 kilometers of ski trails and 12 kilometers of snowshoeing trails. While more of those trails are in the open than at the other two centers, some are wooded and also provide access to back country trails. The golf clubhouse serves as a hub for Gold Run’s activities during the winter. 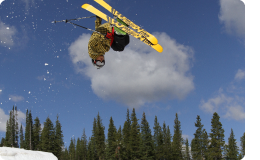 An Internet link to Gold Run is on the web site www.breckenridge.nordic.com. Keystone’s Nordic Center – Center offers more than 9 miles (16 kilometers) of groomed trails and provides access to more than 35 miles (57 kilometers) of nearby packed trails through the White River National Forest (these trails require a 3-5 mile drive to reach the trail heads). Want to try something new? Snowbiking at Keystone is a great way to get an introduction to a new and exciting sport. Dates Of Operation: Open November 23 – April 8, 2012 – dates and hours vary Take a lesson from one of our great coaches and become certified to use a Snowbike at Keystone. After certification, guests can rent Snowbikes for $25 a day. Snowbike – Guest must provide their own ski boots. Snowbiking is the best option for beginner skiers or snowboards. Price: $49 per person includes lesson and rental; $60 includes lesson, rental and lift ticket for the tour. Everyone must be 13 years of age or older to participate. Ice Fishing in Summit County is mainly done on Lake Dillon and Green Mountain Reservoir. 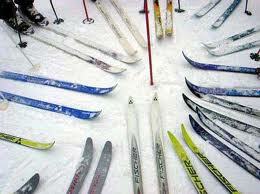 January through April seems to be the most popular time for this winter sport. However, caution is strongly advised anytime you plan on being on the ice. To some, 8 inches of ice seems to be plenty. I personally prefer 2 feet minimum. The following restrictions apply to both Dillon and Green Mountain: 1. Ice fishing holes cannot exceed 10 inches in diameter or 10 inches on any side 2. Fires on ice must be enclosed in a container 3. Portable ice fishing shelters (when used) must be removed from ice at the end of the day. Popular spots for ice fishing on Lake Dillon seem to be the Snake River inlet near Summit Cove and the Blue River inlet near Farmer’s Corner. However, anywhere on the lake from 8-20 feet is acceptable. The same depth holds true at Green Mountain Reservoir. However, Green Mountain also has lake trout, and jigging for these should be done at depths of 30-50 feet. Meal worms have proven to be an effective bait for ice fishing rainbows and browns, and sucker meat for lake trout. Tools for ice fishing include: ice auger – for drilling holes ice fishing tent – optional – they are quite nice on cold, windy days – they also block out light so that one may see into the augered hole ice fishing rod and reel – rods are smaller than standard fishing poles ice jigs – bright colors work well bait – power bait, meal worms, wax worms, night crawlers, sucker meat Fishing equipment can be purchased in many stores around the county.